The spaces listed on this page are not all managed by the same organization. To inquire about Ada Slaight Hall, the MDC Partners Courtyard, the Artscape Lounge or the Green Room, complete Artscape’s inquiry form online. 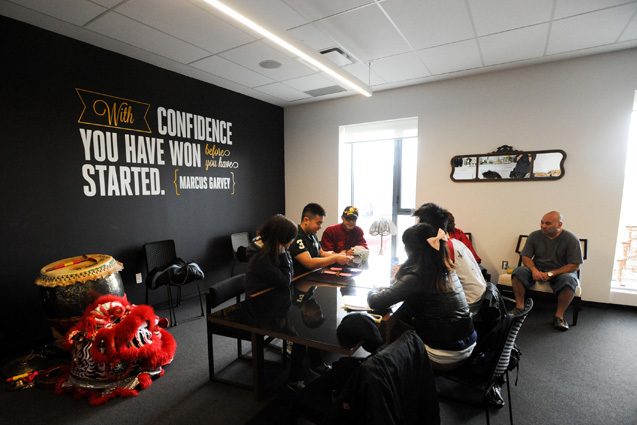 For other spaces, including Aki Studio, the Centre for Social Innovation (CSI) and the Regent Park Film Festival (RPFF), refer to the space descriptions and follow the directions. Artscape/Daniels Spectrum is proud to offer subsidized (i.e. 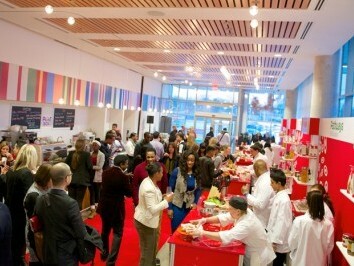 discounted) rates for event rentals to non-profit organizations and community groups. These are offered on a sliding scale and need to be negotiated with our staff. 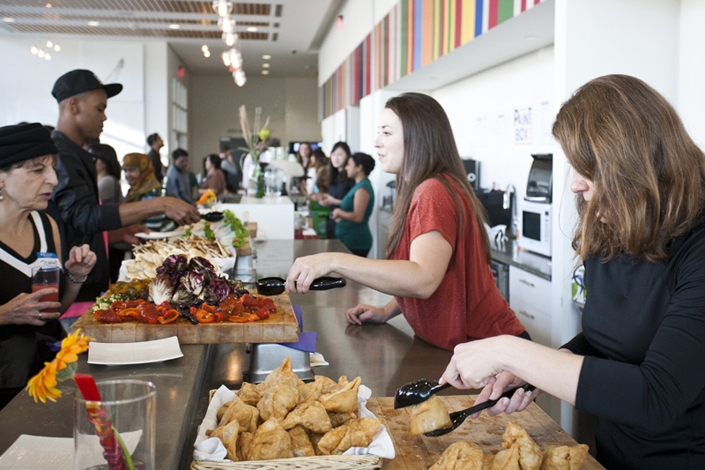 We also offer up to 50 free event bookings to Regent Park grassroots community events per year. Talk to us if you’d like more information about the Community Access Program. Artscape operates multiple buildings and offers a wide variety of spaces. For details, visit artscapeeventvenues.ca. The Green Room is for performers pre-show, and small gatherings, workshops, etc. 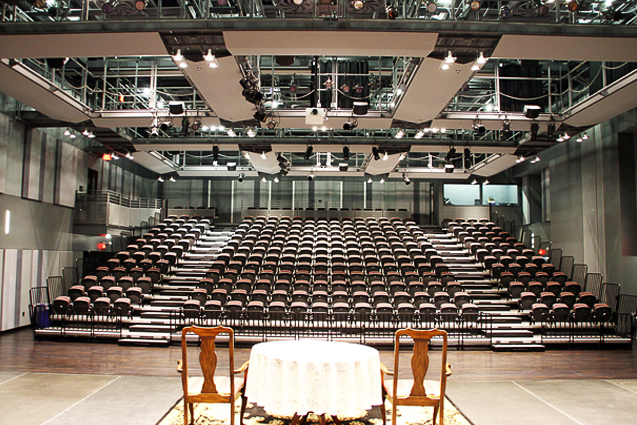 This ground-floor performance and events hall is equipped with a complete sound and theatrical lighting system. It features a 300-seat retractable bleacher system and retractable partition walls for maximum flexibility of setups and capacities. 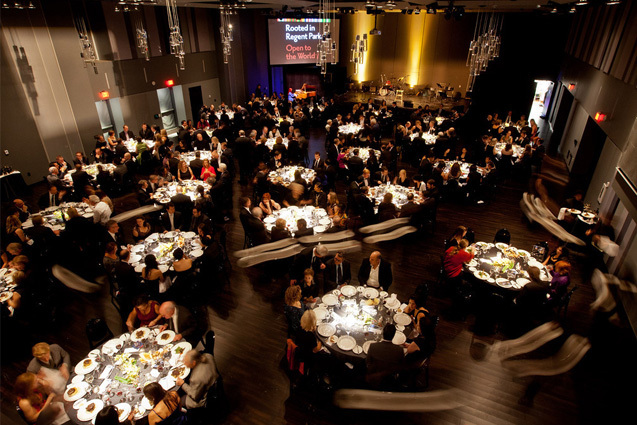 Find more information on the Artscape Event Services website, or contact us for more information on booking your event. 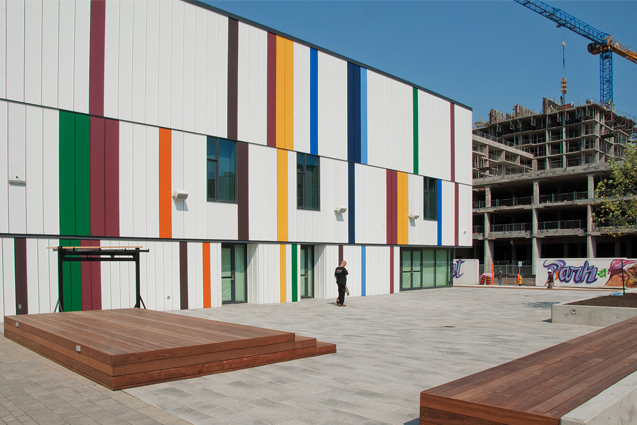 Located at the main entrance of the building, this bright and colourful space functions as the “living room” of the building and can host performances, meetings, receptions and more. It may also act as a spillover space for events in Ada Slaight Hall. The Lounge can include access to a bar and service area. 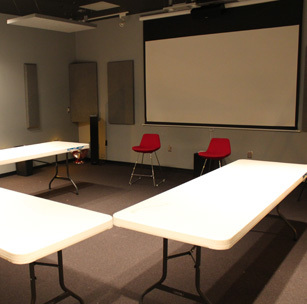 The Green Room is a studio for relaxing and preparing for performances on the second floor of Daniels Spectrum. It includes a kitchenette, showers, washroom facilities and dressing areas, as well as a nice lounge area. The use of this space is included in most rentals of Ada Slaight Hall. To discuss using the Green Room for smaller events and gatherings, please contact us for more information on booking your event. This outdoor courtyard features a raised wooden stage and can host a range of events, acting as its own independent programming space or as a spillover space for events inside Ada Slaight Hall. It also functions as a casual community gathering space. The Courtyard is capable of supporting sound and lighting systems. 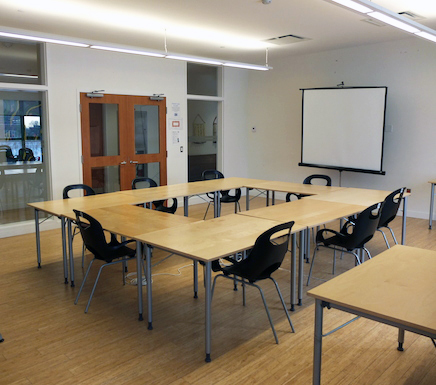 The Centre for Social Innovation offers two meeting rooms for rent. Each room is 512 sq. ft. and can accomodate 40 people comfortably. Both feature a glass whiteboard, chairs and tables, access to a projector and screen, conference pods and free wifi. 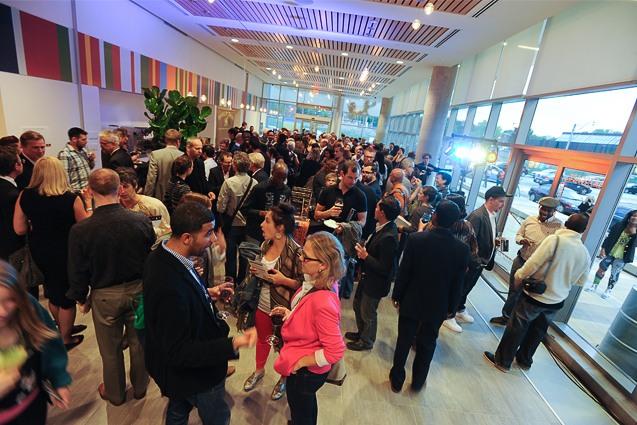 The Regent Park Lounge is a bright and modern space brimming with arts and culture. 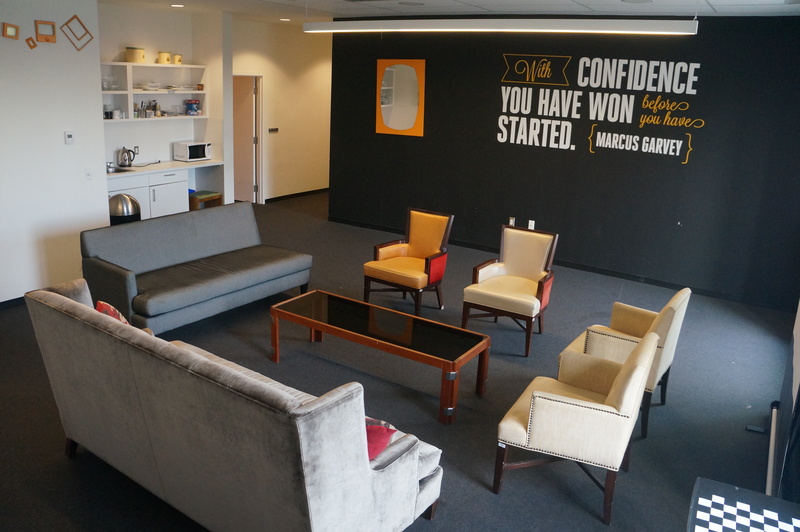 This space is 750 sq. ft. and can comfortably accommodate 100 people. It features access to an open concept kitchen for prep, chairs and tables, access to a projector and screen and free wifi. “Aki” is the Anishnaabemowin word that encompasses earth, land, place. 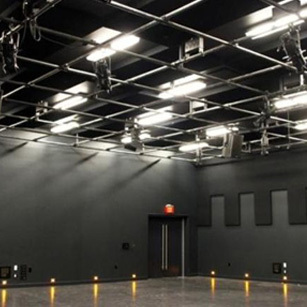 The Aki Studio is a 120-seat, fully accessible black box theatre available for rent on a short-term basis from Native Earth Performing Arts, an organization based at Daniels Spectrum. For more information contact Native Earth Performing Arts or visit their website. 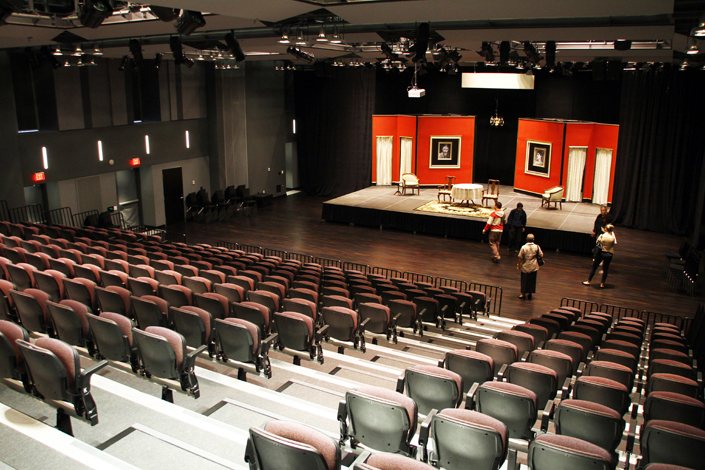 The Regent Park Film Festival offers its micro-space for rent. 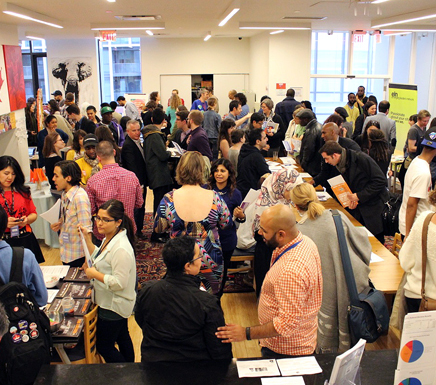 It’s a great space for workshops, screenings, auditions, rehearsals and meetings. 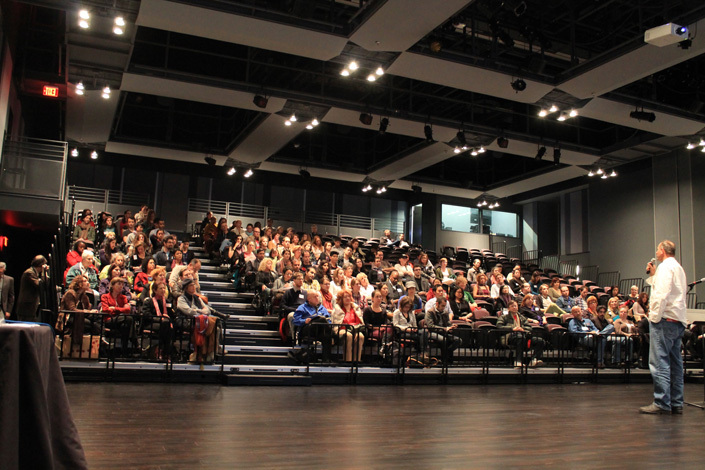 Rental fees help to support the Regent Park Film Festival and its mission. 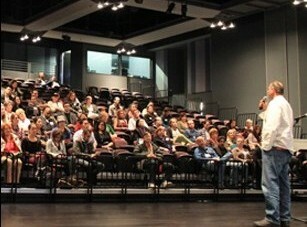 For more information contact the Regent Park Film Festival or visit their website.